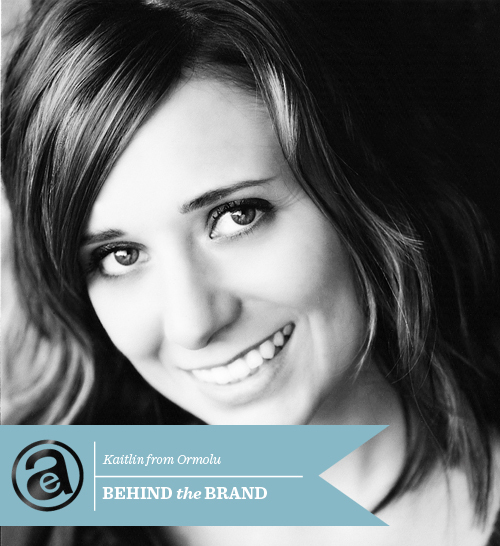 Today as part of the my Behind the Brand series I'd like to introduce you to Kaitlin from Ormolu. I got started with my business, Ormolu, in 2007 while I was in college for interior design and teaching classes at a local scrapbook store. I started making my own designs for class kits and occasionally I would have leftover items and decided to sell them on Etsy. After graduating college and getting married, my husband and I decided I would be a stay at home mom. He encouraged me to keep going with my little business and designing and it has just grown from there. My favorite thing about being an entrepreneur is seeing my items used by customers and hearing feedback. It is very rewarding to see the items that you dreamed up in the hands of others and to be inspired by the work they create using those items. I live in northern Colorado, about a fifteen-minute drive from the Rocky Mountains. My absolute favorite thing about the area I live in is how close we live to our family. The community is also great and there are a lot of things to do around this area. My inspiration mainly comes from many things, some of them as everyday as moments between my family and myself because I am very much fond of ‘small moment’ types of memory keeping. 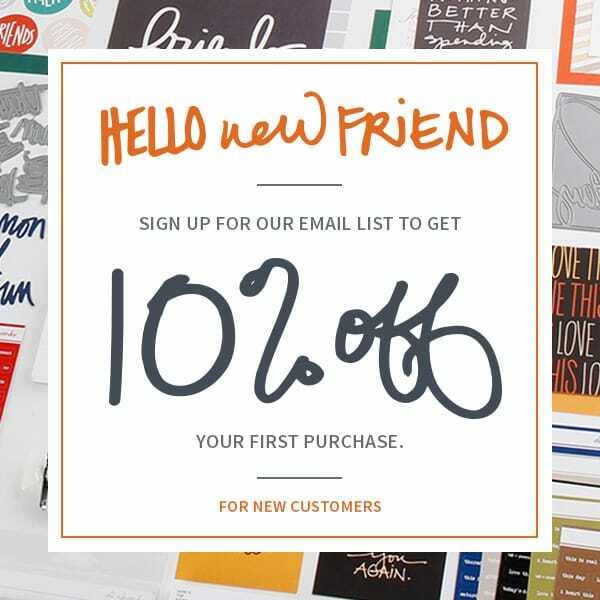 I am very drawn to color and type and have had a lifelong love of stationery so that definitely influences me. 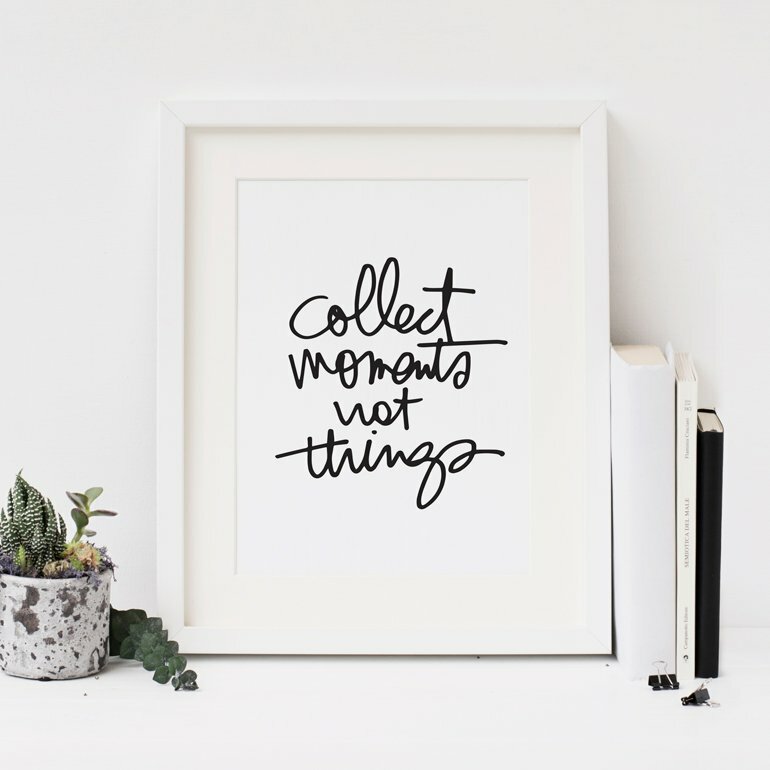 I don’t have too much on my wish list right now but I’ve made a commitment to myself to really start putting things on our walls this year- pictures, décor and such. After living in our home for over four years I think it’s time! We just launched two new releases; Made & Montage and we have also recently started offering stamps. Also, we have just added onto our custom flair offerings to include custom word flairs and states. As a child, Kaitlin spent much of her time making things out of paper to sell in her made up shop under the basement stairs. Little did she know that many years later as an adult, she would be doing this same thing. 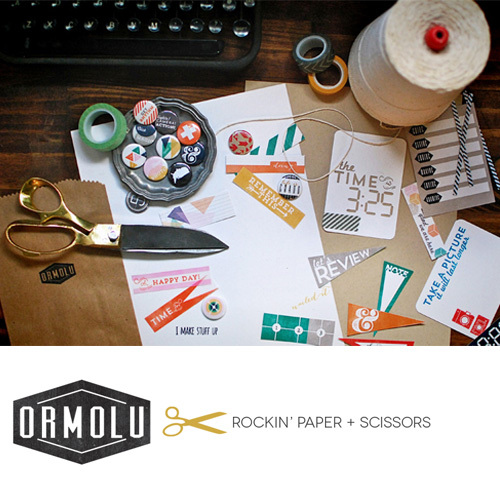 When she is not designing for her shop, Ormolu, she is hanging out with her husband and their three children and scrapbooking with whatever time she has left. Love Katie stuff...have been checking her site daily awaiting her new stuff. Gotta say its pretty neat to see it on Ali site!!! thanks for sharing a peek behind the brand! I have love the items I have ordered before. Any chance you will be doing more digital releases. Love ormolu's style! It's something I've considered so it's good to hear from people asking about it. Love these "behind the brand" peeks, esp. this one! I'm a big fan of ormolu's products and am esp. loving the Made line! Kaitlin is an awesome person and designer...so glad to see her featured here! I actually chose the name Ormolu (what was then my Etsy shop) while I was sitting in a History of Interior Design class. I had picked a different name originally (can't think of what it was now) but it was already taken on Etsy and so I was brainstorming other names. Ormolu is a term used in interior design to describe ornate gold pieces of decor...so it basically came from one of my lectures. I liked the word because it was catchy, and it reminded me of my grandmother whom I was close to and who had passed away not long before. It's really amazing to see how the art of scrapbooking has produced so many successful women entrepreneurs!! Inspiring! Love Ormolu and working with Kaitlin. Totally awesome feature. I love Ormolu! I was wondering how you came up with the name of your company as my last name is Orme and my middle name is Lou...kinda similar! Thanks for sharing. I love behind the brand type posts. And I'm happy I'm not the only one with nothing on my walls after a few years!! I am so happy to hear Kaitlin say she is excited to decorate the walls of her house after living in it for 4 years. I have been struggling with decorating our home that we have been in just over a year. A wonderful reminder that it is ok.